concrete5 est un système de gestion de contenu open source et de construction de site Web. Added the ability to automatically deactivate users based on how long it’s been since they’ve logged in. Specifying the items per page for an express entity now works. Fixed exception thrown when accessing index.php/ccm/system/accept_privacy_policy directly. Added bulk user commands: activate, deactivate, delete, remove from group and add to gorup (thanks JeRoNZ)! Added the ability to specify an end date for page publishing. Added a new Reset Edit Mode Dashboard page that allows all currently checked-out pages to be checked in and edit mode to be restored on them. Added the ability to unapprove an approved version through the versions menu. We now only set sessions when you attempt to login or use custom session code, in order to reduce the number of sites that set cookies for GDPR. Added a data collection notice to installation, added a banner to Dashboard for GDPR compliance. We will now inhibit the execution of automatic updates/installations if one is currently in progress (thanks mlocati). Improvements to the update process when the calendar add-on was migrated to the new built-in calendar. Added cache to core area layout block. Better ADA compliance: adding for=”” attributes to label tags in login forms, forgot password forms, all core attributes and express form attributes. Fixed multiple bugs that arose because actually removing a multilingual section via the Dashboard didn’t delete the pages in the site tree. Fixed error where full page caching was still connecting to the database. Fixed bug where pages duplicated would lose custom block cache settings on the resulting pages. Fixed bug where pages duplicated would lose custom grid container settings on the resulting pages. Fixed bug where applying custom styles to a global area’s blocks would not refresh those styles without a full browser reload. Fixed error running command line utilities when a concrete5 installation has been updated through the Dashboard. Better permissions checking on Express entry list results in custom Express objects and Express forms. Fixed bug where you couldn’t unset a “More Details” calendar event page link in the calendar event edit popup. Fixing some cases where exporting form results to CSV could result in a 404 error under advanced and custom permission use cases. Fixed: Unable to decode session object after updating profile information and using database sessions on certain multilingual installations. Fixed: Running an advanced search on Express forms can produce error in PHP 7.2. Express Entity attribute type was not installed due to a bug in 8.3.0 and 8.3.1. This is now fixed. Fixed bug where blocks were not having their output added to the output cache, leading to general slowness, and a slow Dashboard Welcome page. Fixed fatal error on higher traffic websites complaining about timeouts, broken cache files. Fixed bug where Geolocators table wasn’t created when upgrading from 8.2.1. Fixed: Page duplicated from Versions menu doesn't contains IsDraft state, gets published under drafts. Fixed: Form submission notifications throw an error on the Waiting for Me page if the form data object is deleted. 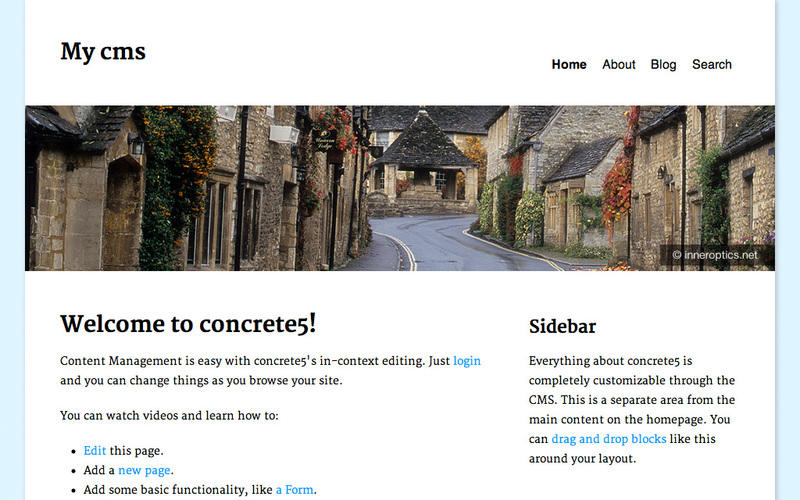 Added support for upgrading from older versions of concrete5. Now you may upgrade from 5.7.5.13 all the way to 8.3.1, and from any version in between. Added the ability to search form results in the Dashboard. Added support for importing and exporting Express entities and their entries to the Migration tool. Multilingual sitemap now remembers which tree you were viewing last, will open to that language in Dashboard Sitemap. Improvements to pages panel sitemap when used in a multilingual site. Added a link from a form results Dashboard view over to its Express data object editor in the system and settings page. Fixed bug where block action URLs for blocks in global areas would not work, leading to an inability to edit bugs like the Express Form when the block is in a global area. Fixed bug where publishing pages in composer using in-page sitemap wouldn’t show languages in a multlingual site. Fixed bug where errors could occur when submitting an Express Form with incomplete values (failing validation) and having an option list attribute in the same form. Calendar events are a separate data model from pages. Calendar and Calendar Event custom attributes. Detailed permissions at the calendar level. Workflow integration with calendar events. A powerful recurring event model that works even with event versioning. Additionally, the core team’s Document Library add-on is now available in the core! The Document Library add-on lets you easily place a list of files on the front-end of your website. Filter by folder or file set, provide a simple search interface, control the styling of results and more. Mobile Dashboard menu now includes subpages. Improvements to CSV export and import of data. Added the ability to search by users not in a group to the Dashboard user search interface. Added the ability to see the date of last login to the Dashboard user search interface. Added an icon to notice level logs in the Dashboard logs interface. Added logging into cache clearing. Removed exception throwing from invalid SQL order by provided by user – instead it will be ignored. You can now search multilingual trees through the page search interface in the Dashboard. File manager is now more mobile friendly. Much better performance when grabbing page drafts on a live site. Dashboard mobile menu works again. Fixed user account menu not showing account operations like Edit Profile, Edit User Picture unless the user was a user with access to the dashboard. Fixed: Survey Dashboard page broken. Fixed bug where new drafts had the locale of the default site tree, in multilingual sites. Fixed bug where they could not be duplicated into a new part of the site properly. Fixed checkbox attribute not honoring settings when editing attributes with values. Fixed bug where searching express entities by a many association wasn’t selecting the entries on returning to the form. Fixed inability to search in “all pages” in Dashboard Page search in a particular multilingual site tree. Fixed: Editing Express Entries uses the default view form instead of the edit form. Fixed bug in Express where entities listed in an association could not be clicked into from associated entities. Fixed error when adding attribute from a package into a Form block. Fix multiple files showing up when browsing folders in the file manager as the non admin user. Fixed possible errors when rescanning files are stuck in the queue and they no longer exist. Fixed error message “Unable to get permission key for view_edit_interface” showing up when an invalid block was specified in an edit interface. Fixed bug with uncaught exception in authentication types. Fixed bug where folders and files were showing up as translatable in translate site interface. Fixed bug where concrete5 couldn’t be installed on versions of PHP 5.5 before 5.5.21. Fixed: Disable intelligent search for marketplace when setting warrants it. Incorrect CSRF token validation no longer throws an exception in the legacy form. Miscellaneous bug fixes to asynchronous thumbnail generation strategy. Fixed display bug when editing conversation messages. Fixed inability to hard code a block’s custom template in a theme template file and provide that custom template in the theme. fixes bug where fill records were orphaned when deleting a file set. fixed: When trying to save an edited video block you get the error An invalid form control with name='width' is not focusable. fixes filterByBlockType on PageLists so that it works with strict versions of mySQL. Fix possible self-xss on installation screen. Better conversation message sanitization when using the rich text editor conversation editor. Updated Laravel Config dependency to 5.2.x. Lots of minor updates to third party libraries. Fixed namespace when generating migrations. Captcha updates make affect backward Compatibility. The Form block can now display output from an existing Express entity object, as well as create a new custom form from scratch. Fixed; File Manager Upload does not reflect most recently uploaded files if user doesn't select "View Uploaded"
Improved thumbnail generation when using the BasicThumbnailer classes – better support for page caching while generating thumbnails, throttling and better performance when generating thumbnails. Fix success error when submitting Express Form with two forms on a page. Fixed bug where Express many to many associations weren’t named correctly, so working with them programmatically didn’t work. More reliable deletion of express objects when they have associations to other objects"
Permissions fixed in the file manager. 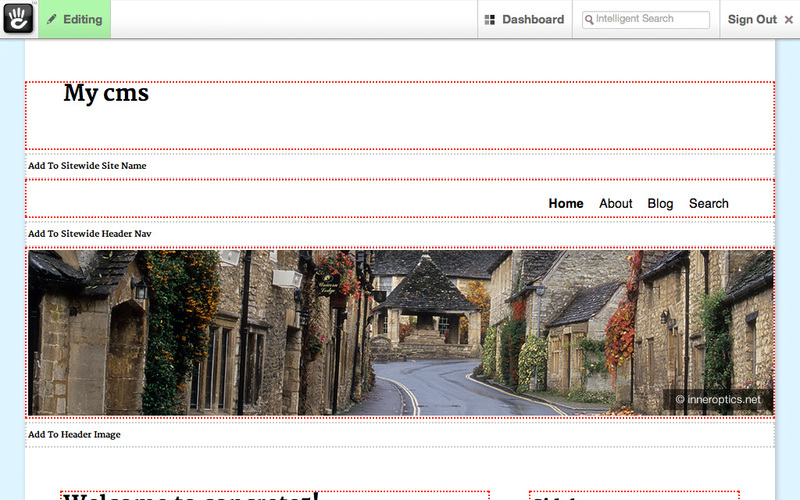 Fixed bug where some sites could start rendering -1/ in their paths when editing the home page. Fixed double submit bugs when forms or external forms were placed on the home page. Better permissions protection on file manager with File Uploader access entity; better permissions protection on moving files in file manager. Fixed Invalid block type handle exception during upgrade from 5.7.5.13 to 8.0.3 on sites where the RSS DIsplayer block was removed. Fixed bugs where discarding page drafts might cause page blocks to no longer be editable in composer. Fixed exception when dealing with Oauth in bindUser method in some setups. Updated Zend Mail component to 2.7.2 to fix security issues. Fix unsanitized file set name displayed in add to sets dialog. A new search indexing service provider is available, enabling the use of third party search platforms rather than built-in MySQL search for pages. Currently relatively low level and offering our single MySQL implementation, it nevertheless is a good start for adding support for other services like Elasticsearch, Solr and more. Developers can implement getPackageTranslatableStrings() in their package controller in order to specify custom strings to add to the translation repository. Upgrade Punic to 1.6.4, fixes certain incompatibilities with Symfony Intl. This was a bug fix release. Express: Extensible, Custom Data Objects that can be created by Editors. Easily search, sort, manage permissions on and display these objects in the front-end and the Dashboard. User Desktops: a fully customizable landing page for users when they login to the system, available even if user profiles are not. Functions within the Dashboard or outside of it. Revamped Waiting for Me: can include a large number of notification types (like user signup, workflow, form submissions, private messages, concrete5 updates and more) and is extendable by third parties. Completely overhauled Form block: now powered by Express, form block fields are attribute-based. This means they can be added to with new attributes. Additionally, you can intersperse text with form controls. The Form block creates Express entities in the Dashboard, which you can grant permissions to, related to other entities, and more. More control over page defaults – ability to choose whether to delete all blocks based on defaults or just the unforked versions, and the ability to publish updates to page defaults over previously forked versions of defaults blocks. Page versions can now be scheduled for approval in the future. Revamped file manager, with support for folders, better support for saved searches, and more. Stack Folders: Stacks now support folders, which should enable developers to use stacks more efficiently. All user passwords can be globally reset from the Dashboard. Users will have to reauthenticate immediately, and change their password immediately. Multilingual stacks and global areas work nicely with folders. Drafts now use the target page location property to determine their locale and language, allowing you to create related drafts for different languages. Multilingual sites now appear as their own trees in a tabbed sitemap, rather than within the main site. Waiting for Me Workflow List now shows all workflow types instead of just Pages, is fully extendable, more attractive, and available outside of the Dashboard via Desktop Block. Image/File attribute now has an "HTML Input" display mode. Improvements to composer autosave behavior. We now use relative URLs when the canonical URL isn’t set. Symfony components updated to version 3. Font Awesome icon set updated to version 4.5. 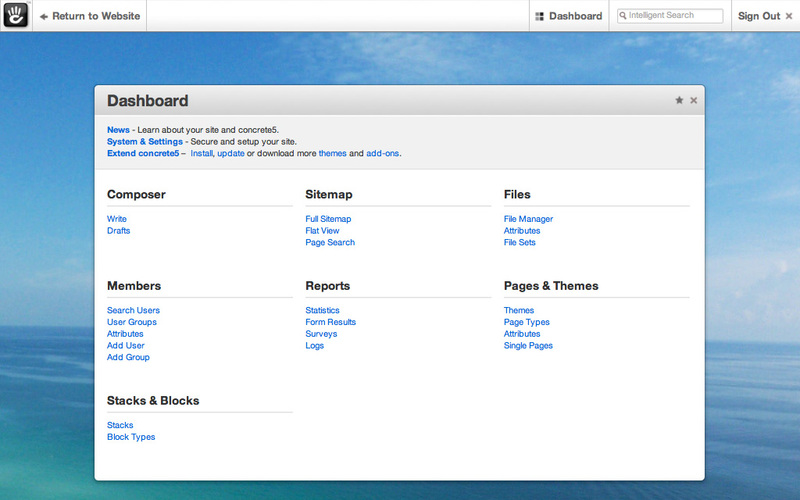 Bootstrap components updated to 3.3.7. Updated Laravel Dependency Injection Component to version 5.